#TASCE post UTME form – The management of the Tai Solarin College of Education (TASCE) is now selling post UTME forms for admission into its NCE programmes for the 2018/2019 academic session. The general public, particularly prospective candidates are hereby informed that 2018/2019 admission is in progress for the 3 Years Full-Time NCE Programmes of the College. DATE OF SCREENING: Candidates wishing to come to the College are to appear for the Screening Exercise on every Monday, by 8.am at the Admissions Office. SEE ALSO: TASCE (OOU Degree Affiliation) Post UTME Form. (a) NECO/WASSCE/GCE’O’LEVEL with five (5) Credits passes at one or two sittings including English Language and Mathematics. Three of the Credit passes must be relevant to the course the candidate wishes to offer. (b) Grade II Teacher’s Certificate (TC II) with credit or merit passes in five subjects including English and Mathematics, three of which must be relevant to the course the candidate wishes to offer as his/her specialization. (c) For candidates wishing to offer courses in Vocational and Technical Education, RSA or City and Guilds Intermediate Certificate, and the Federal Craft Training Certificate (FCTC) credit/merit passes in at least five subjects, are acceptable as qualifications. (e) Senior Arabic and Islamic Studies Certificate or Higher Arabic and Islamic Studies Certificate from a recognized institution with 5 Credit/Merit passes including English Language, is also acceptable. USEFUL TIPS: The following subjects are acceptable as entry requirements for Social Studies: Government, Economics, History, Commerce and Islamic Studies. Also credit in Government is acceptable in lieu of History for any course in History combination. 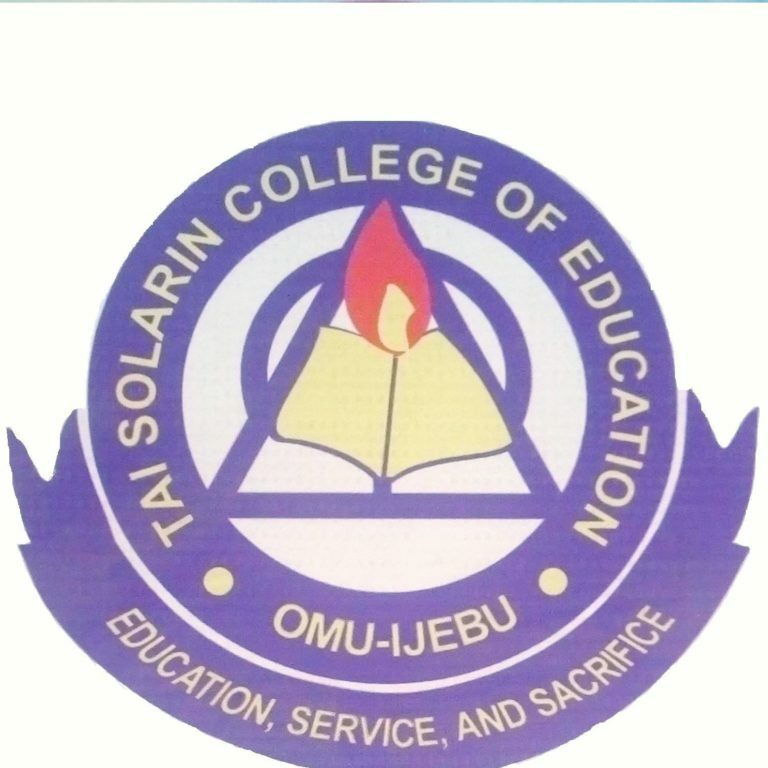 Tai Solarin College of Education NCE Courses. How to Apply for TASCE Post UTME. Application forms for the programmes listed above are currently online at https://nce.tasce.edu.ng/ the following cost and payment will be made online with your ATM cards.